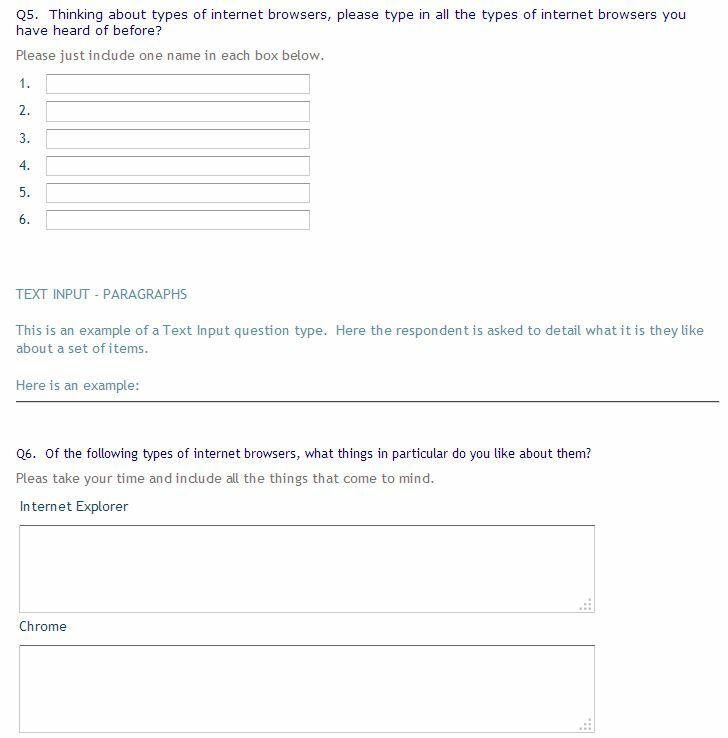 The basic question set includes the following question types and is suitable for most basic surveys. Scroll down to review each type. This is one of the core question types of any survey. 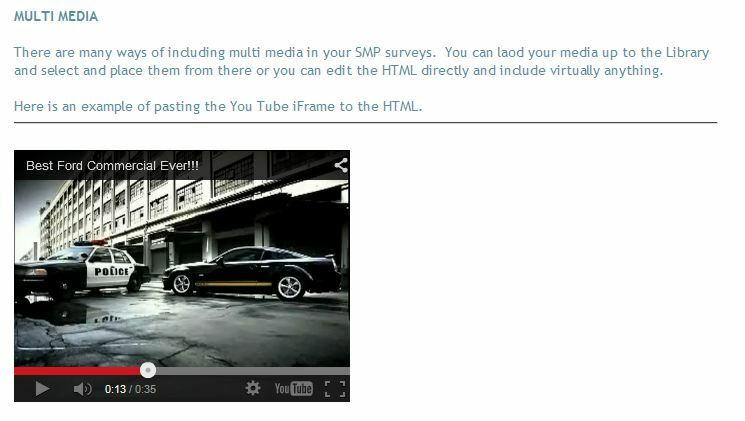 Below are several examples of the types of single select question types available in SMP. 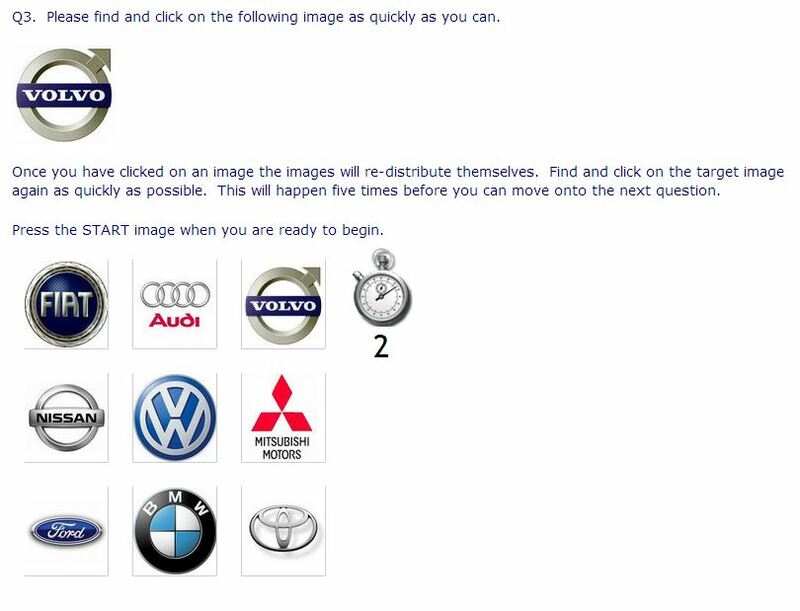 This is the same as Single Select except that the respondent is allowed to select more than one answer. This is essentially a blank screen that you can design with any content you like. They are used to introduce the survey to your respondent, or to present materials that you wish to quizz the respondent on latter. They can include text, images, audio or video content and are very useful for presenting new product concepts etc. Dynamic Grid is a powerful and engaging alternative to the boring repetitiveness of grids. 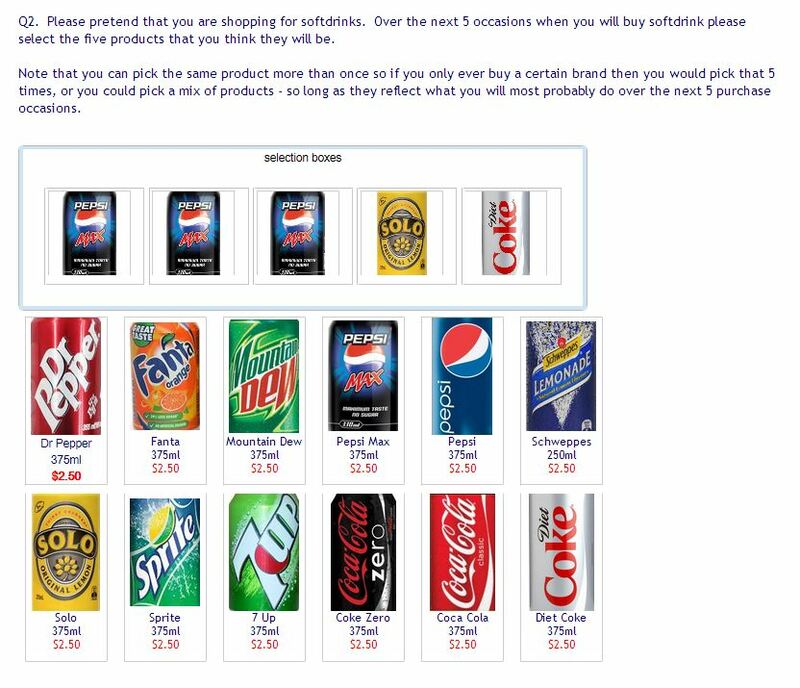 The respondent is shown a statement or visual and then asked to select from a list of boxes below the stimuli which of the options most fits. It can be either a single or multi select question. Once the respondent has made a selection the next image or test stimuli is presented by a fade transition. 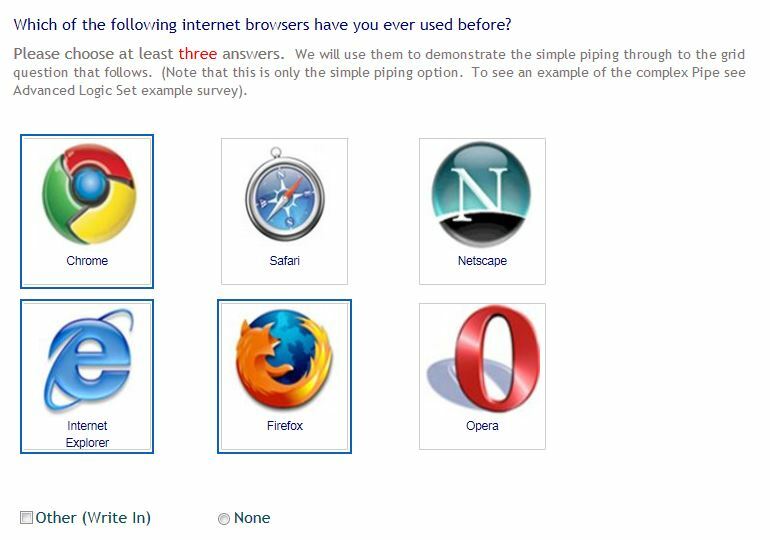 The example below asks the respondent to rate a set of internet browsers one at a time. 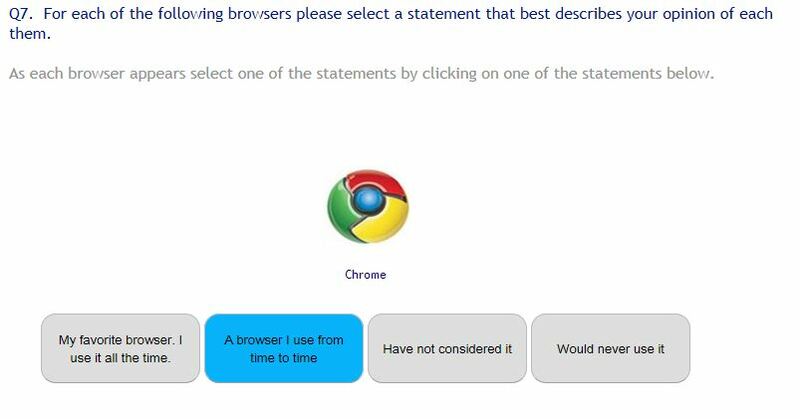 These have become one of the most important and over-used question types in online surveying. They are very efficient to use and quick to set up but can quickly become very boring and too long. As an alternative try SMP’s Visual Scale Board, Card Sort and Ratement question types as alternatives to help break the monotony. This question type allows respondents to add single line text input such as their name, address, brands they have heard or seen before, and also opinions about any subject that can be many paragraphs long. There are many formatting options available, answers from previous answers can be piped into this question for further comment and answers piped out to other questions. The scored question type limits answers to numbers only. It is good for collecting age, or the amount spent on a particular item, the number of doctor visits respondents have made or the number of cups of coffee they consume in a week. Running totals can be calculated, the total of a number of answers can be forced to equal a specified total or a total given in another question, the answer can be piped into future answers or the body of another question and there are many formatting options. As well as the basic options in building these questions each question comes with a large range of question parameters and answer options that allow for a broad range of creative question building and control. Expand the boxes below to see all the possible settings available with these question types. The ranking question type creates a button selector under each of the items being ranked. The respondent selects their favorites in order and that number appears in each of the buttons – automatically and incrementally. This method has proved extremely easy for respondents and has a many parameter settings that control the question. An interactive question type that replaces many grids and makes surveying more fun for the respondent whilst collecting better data. This grid alternative allows the survey designer to put a text element at both ends of the grid row. This allows the creation of questions like semantic differentials shown below. Another grid alternative that allows a number of mixed question types to be included in the one grid in the columns along the top. They are useful for collecting a mixed set of information about a set of brands or items that respondents have previously stated they have had experience with. 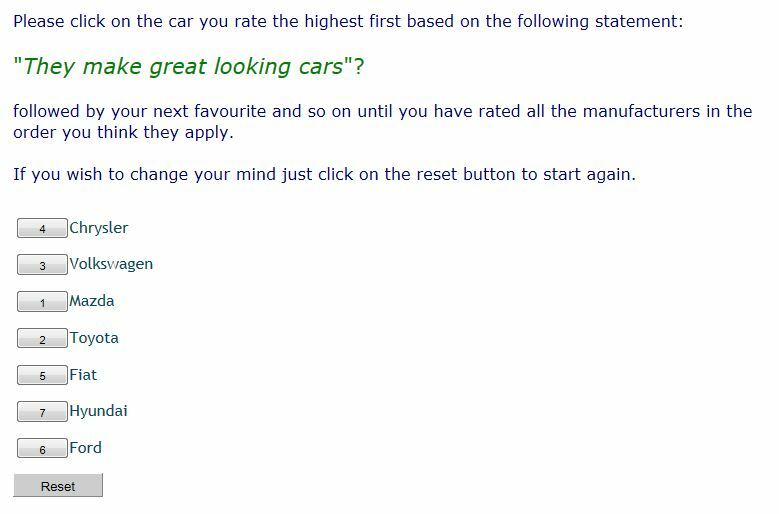 For example – you may ask a respondent what cars they have owned in the past and they choose these from a list. That set is then piped to a complex grid where several questions are combined that include how long they owned the car for, how much they paid for it, how they would rank it and how they would rate its quality. There are many varied uses for this question type. The Slider question type allows you to collect direct comparison data between a set of two items or a rating on items one at a time by having the respondent drag a pointer along a rating scale to indicate their preference. 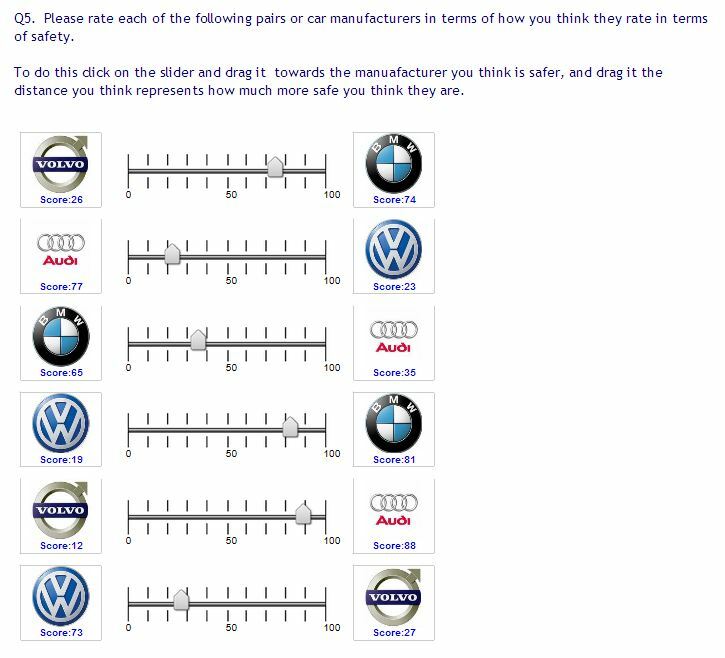 The inputs can be piped from previous questions and if more than two answers are piped in the question will create a separate slider for each pair randomly assigning them to different ends of the scale. This makes it easy to collect paired comparison data from a set of evoked brands. The multi media question type allows the user to input any form of media that they wish to use to demonstrate various items to their respondents. These items can be video, audio and any form of image. Innovative question types are the reason we began writing our own online surveying system four years ago. However the question types we developed were the product of a sound research need rather than a simple desire to create pretty questions for their own sake. Below is a set of questions ranging from the simple to the exciting. All are extremely easy to create with the system and return great data. The visual scale board is an important question type for us. 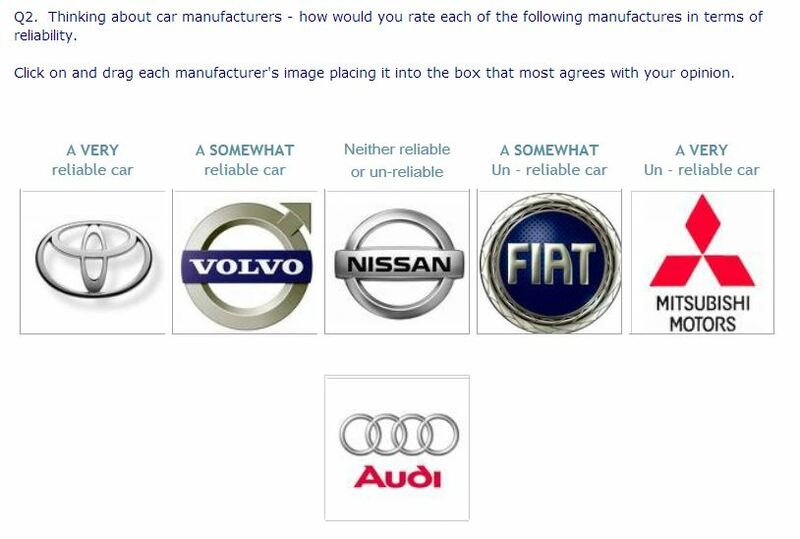 Respondents rate brands by placing them on a visual scale. 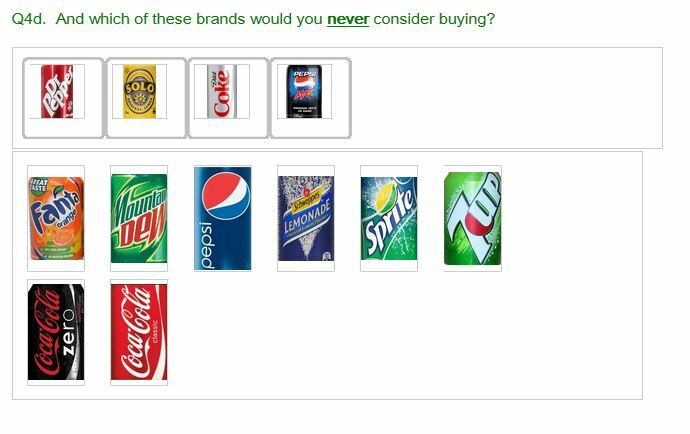 By rateing brands like this the respondent is providing us with their order of rating each stimuli and importantly telling us the exact distance each element is from each other. Respondents might like one product over another for instance but the amount or size of this difference is critical in the decisions that marketers make regarding brand strategy. The final data set produces mean scores, and the difference scores between each set of brands, important in building market share predictive models. Importantly this question type can be used to replace many boring grid rating scales, with an interactive, visual appealing and interesting activity for the respondent, that renders better data than a grid. The visual shop is a simulated shopping game that provides data capable of creating a market share simulation model for testing new product launches. Great for testing the effectiveness of your packaging and its ability to bounce from the shelf compared to the opposition. 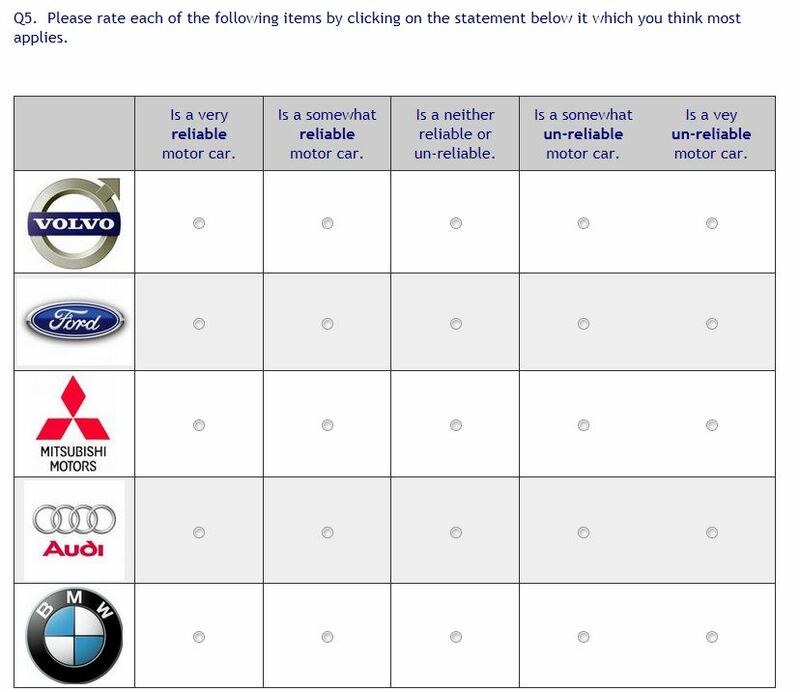 Grids are a common feature of many online surveys. Whilst they are an efficient way of collecting data their over use can lead to boredom, fatigue and poorer data. One good option when applicable is to use the SMP Dynamic Grid question type to break up the monotony of long grids. 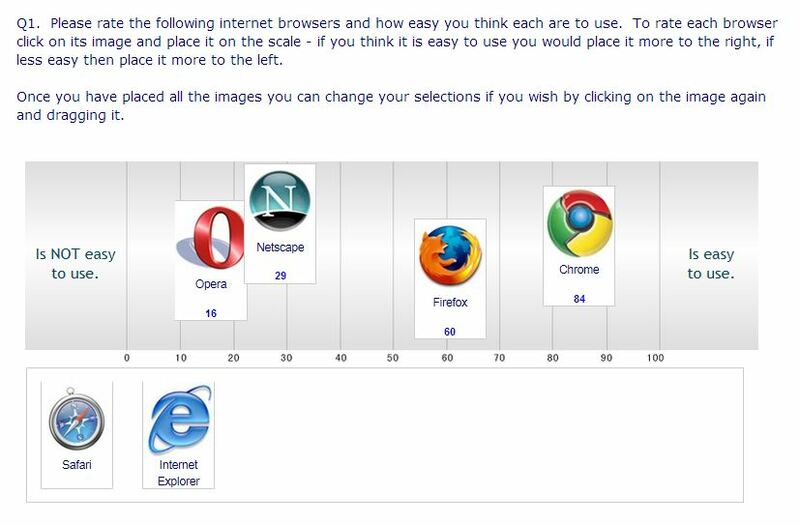 In the example below we take a grid question about respondents use of various internet browsers and turn it into a dynamic grid with images and interaction. 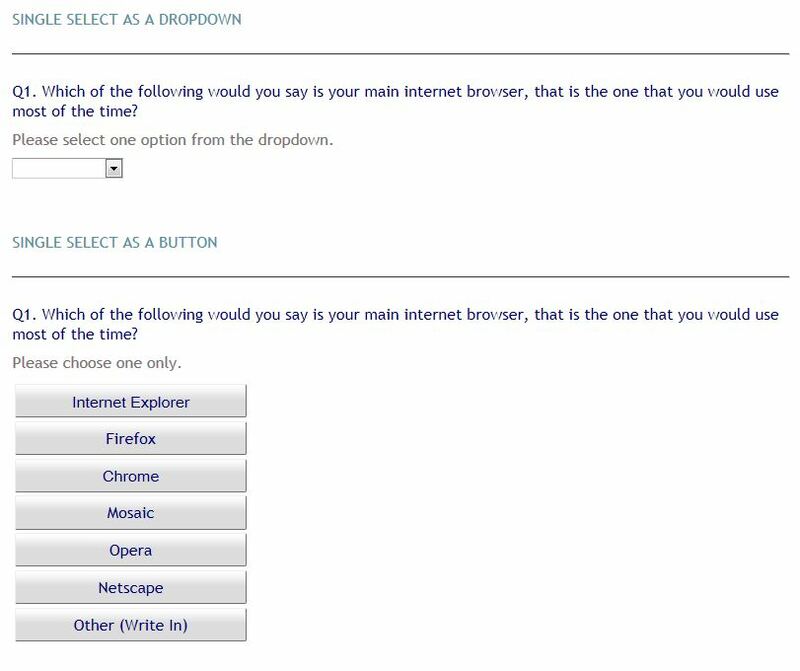 As the respondent selects an answer for each browser the next browser is transitioned in as the previous one fades out. Dynamic Grids are efficient, effective, easy to program and gives your respondent a break from the endless monotony of long grids. Click here to see the Dynamic Grid in action. 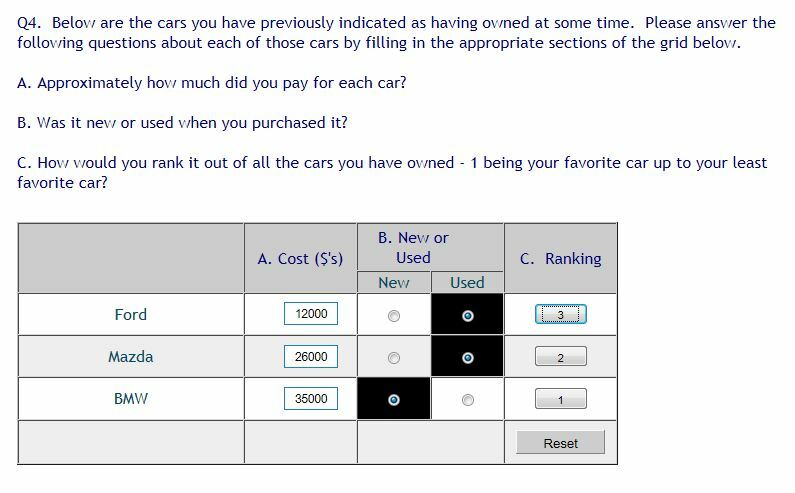 Evoked set is a specialist question that allows the researcher to build and store a user consideration set for use latter in thge survey such as with a future visual scale question. Note that the same effect can be created by using the PIPE question type.